This past Saturday marked World Arduino Day, an eponymous celebration of the first decade of the open-source single-board microcontroller designed for do-it-yourself electronics projects. Developed in 2004 for Italian design students, Arduino quickly became a favorite for builders and makers all over the world. 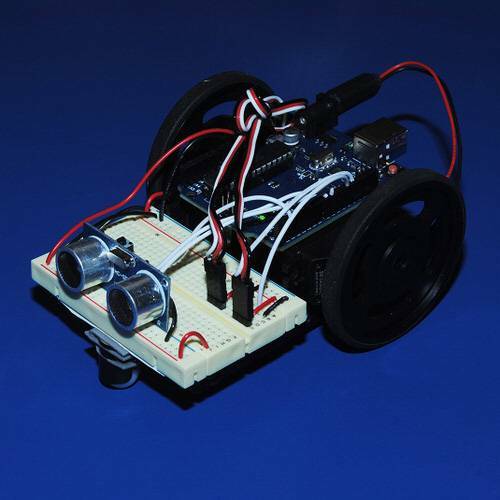 With a built-in set of inputs and outputs that can be directly connected to sensors, Arduino allows for projects that interact with the environment outside the tiny microcontroller. For this reason, many compare Arduino to Raspberry Pi, but Arduino is not a self-sufficient computer like the Pi. What Arduino can do is make electrical engineering ridiculously easy. 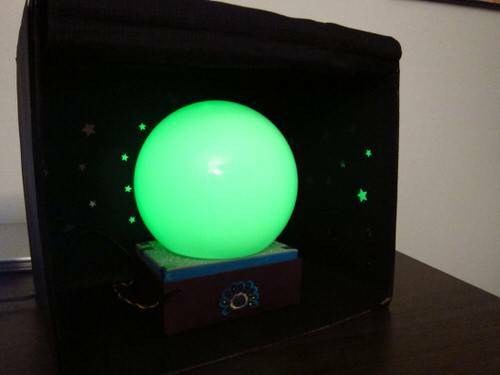 For example, let’s say you wanted to create a simple project to make LEDs blink on and off. On the Raspberry Pi, you’d need to install your OS and some code libraries, and that’s just the start. On the Arduino, you can achieve the same functionality with just an LED, a resistor and eight measly lines of code. If you’re curious about getting started with Arduino, there’s no better time to begin than today—World Arduino Day—or whenever you’re reading this article. I’ve listed 10 projects below that are ideal for any Arduino beginners out there. Adafruit shows you how to make everyone’s favorite first Arduino project, an LED light that blinks. On the surface, it looks like you’re learning to make the light blink slowly or rapidly, but really this tutorial is ideal for getting you familiar with your Arduino. And by the end of it, you got a blinking light, and that’s pretty darn cool. A simple robot. Photo and tutorial by Nathan House. MAKE magazine calls this an ideal first robotics project. It’s fast and simple but by no means limited: You can program the robot to move around on its two wheels while avoiding any obstacle you put in its way. Since the Arduino’s strength is communicating with the world around it—a la the Internet of Things—this project is a great example of how Arduino can be contacted by a mobile phone to trigger your garage door. This Arduino project looks more elaborate than it is. It uses a LoL (Lots of LEDs) display shield to show the time and a Speakjet Speech Synthesiser chip to speak it aloud. But once you’ve got the hardware together, the software just requires a quick download of some open source code, and your clock soon be able to literally tell you the time in no time at all. Make Arduino your personal sentinel by programming it to keep intruders from accessing your computer keyboard. This project is from Arduino Workshop by John Boxall, a book designed for beginners looking to get started with Arduino. Tweet your coffee pot to brew on command. Photo and tutorial by greggawatt. 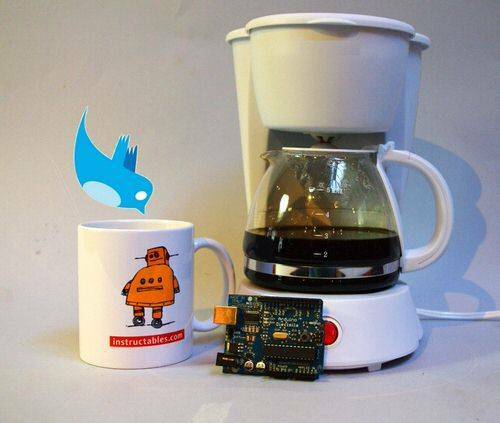 Tweet at your coffee pot while you’re out, and come home to a fresh brew. This project only requires four hardware components and eight steps, but everyone that follows you on Twitter will be impressed at your DIY know-how. This Arduino project queries your home PC, which then polls a Google Calendar to determine the ideal temperature for your apartment. It’s not especially pretty, but there’s no soldering (fusing metal objects with a tool) required. Arduino makes it easy to monitor your air quality. As creator Luke Iseman points out, you can either buy a pollutant detector for upwards of $230, or you can make one yourself with Arduino on the cheap. This one uses a small gas sensor to basically allow your Arduino to acquire a sense of smell. The "magic crystal mood ball." Photo and tutorial by Bruna Calheiros. What would you do with a large, glowing Arduino-powered cube?  I don’t know, but 3 million people have tagged this Instructables post to try it out. More elaborate than any of the previous projects listed, the creator estimates four or five days of work. Too much? Start with MAKE’s 3x3x3 LED cube for beginners. So now that you’ve seen these various Arduino projects, how do you know which one’s right for you? The Arduino Store offers many variations of the tiny microcontroller, but while the tutorials we listed could use any Arduino board, we’d recommend the Arduino Uno because of its standard size and usability, which is also the board that’s included in Arduino beginner kits. For more experienced electrical engineers looking to toy around with Arduino, the Leonardo offers more processing power for bigger projects, and the Due has even more. Arduino also offers the Micro, which lives up to its name, while the LilyPad is ideal for sewing into clothes.